The mandate for evidence-based practice has prompted careful consideration of the weight of the scientific evidence regarding the therapeutic value of various clinical treatments. 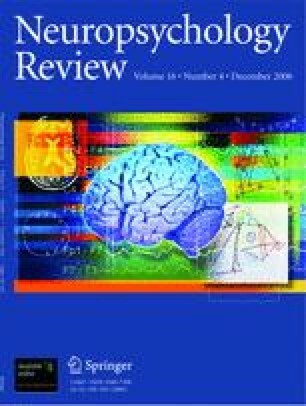 In the field of aphasia, a large number of single-subject research studies have been conducted, providing clinical outcome data that are potentially useful for clinicians and researchers; however, it has been difficult to discern the relative potency of these treatments in a standardized manner. In this paper we describe an approach to quantify treatment outcomes for single-subject research studies using effect sizes. These values provide a means to compare treatment outcomes within and between individuals, as well as to compare the relative strength of various treatments. Effect sizes also can be aggregated in order to conduct meta-analyses of specific treatment approaches. Consideration is given to optimizing research designs and providing adequate data so that the value of treatment research is maximized. The authors thank Susan Carnahan and Ronald Lazar for their helpful comments and suggestions regarding this paper. This work was supported by the Academy of Neurologic Communication Disorders and Sciences (ANCDS), the American Speech-Language-Hearing Association (ASHA), and Division 2: Neuropsysiology and Neurogenic Communication Disorders of ASHA. The first author is also supported in part by RO1DC007646 and RO1DC008286 from the National Institute on Deafness and Other Communication Disorders.